Receive your bottle at home from beginning of 2019. Château Pavie is a Premier Grand Cru Classé A, reputed to be one of the best wines of the Saint Emilion appellation with Château Ausone. In recent years, the estate has made major investments in the renovation of the cellars and vineyards to guarantee an unequalled quality of wines. Château Pavie 2016 is composed of a blend of three typical grape varieties of the AOC St Emilion, Merlot (60%), Cabernet Franc (22%) and Cabernet Sauvignon (18%). The blending is matured in 80% new oak barrels, with the remaining 20% maturing in one-year barrels. 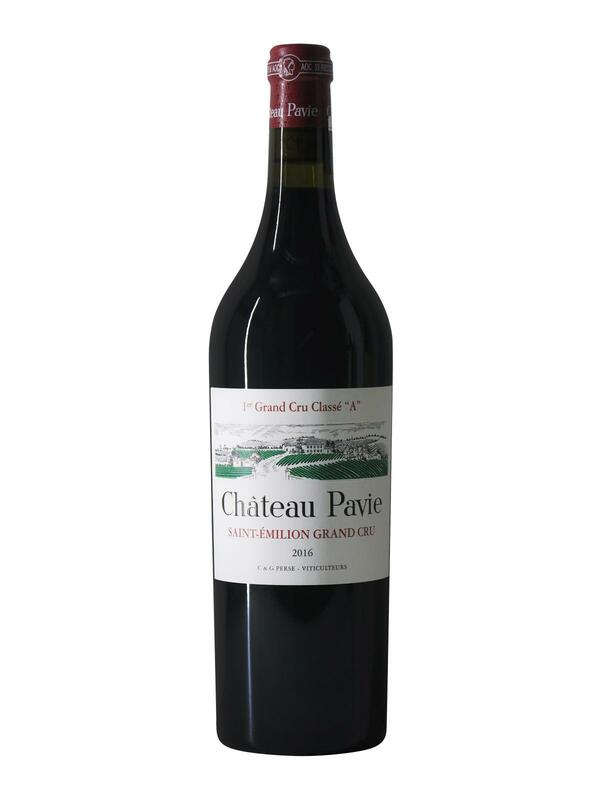 On the nose, the 2016 vintage of Château Pavie offers an intense and well defined bouquet of black fruits, interspersed with floral and mineral (graphite) notes. Medium-bodied on the palate, Château Pavie 2016 exhibits ripe and silky tannins that delicately line the palate. It is a velvety and charming wine. This 2016 vintage promises to be the best, but is it a surprise for an estate like Château Pavie?